Meredith Grey rules. But she may be in the doghouse after dropping the bomb about Richard drinking. Grey's Anatomy Season 6 Episode 12: "I Like You So Much Better When You're Naked"
Grey's Anatomy Photos: "I Like You So Much Better When You're Naked"
Grey's Anatomy Review: "I Like You So Much Better When You're Naked"
(narrating) Number one rule of surgery is limit exposure. Keep your hands clean, your incisions small, and your wounds covered. Number two rule of surgery is when rule number one stops working, try something else. Because sometimes you can't limit exposure, sometimes the injury is so bad you have to cut, and cut big. (narrating) In surgery, the healing process begins with a cut, an incision, the tearing of flesh. We have to damage the healthy flesh in order to expose the unhealthy. It feels cruel and against common sense, but it works. You risk exposure for the sake of healing, and when it's over, once the incision has been closed, you wait. You wait and hope that your patient will heal. That you haven't in fact, just made everything worse. 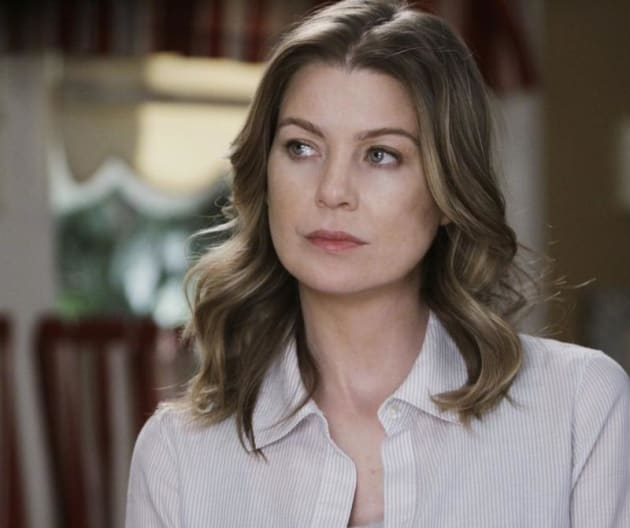 Grey's Anatomy Round Table: "I Like You So Much Better When You're Naked"